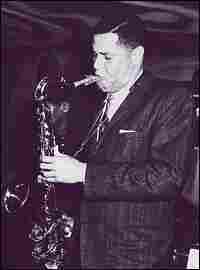 'Harlem of the West': Memories of S.F. Jazz San Francisco's Fillmore District is known for its namesake rock venue, but once it was home to legendary jazz clubs. A new photo book preserves the record of a neighborhood that fell victim to "urban renewal." 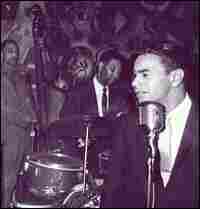 Johnny Mathis performs at Bop City in the 1950s. The Fillmore is the legendary concert venue that put its namesake, the Fillmore District in San Francisco, on the rock 'n' roll map. The club's walls are lined with vintage concert posters and photos taken during performances by 1960s icons such as the Allman Brothers, Janis Joplin and Jefferson Airplane. 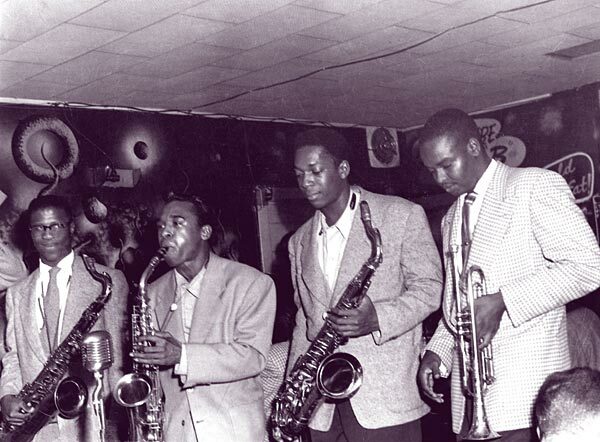 From left: John Handy, Pony Poindexter, John Coltrane and Frank Fisher jamming at Jimbo's Bop City, circa 1950. 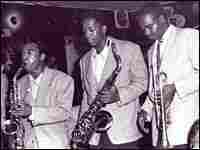 But before that era, the Fillmore was known as the "Harlem of the West" -- a mostly black neighborhood, known for its jazz clubs. Harlem of the West: The San Francisco Fillmore Jazz Era, a new book by documentary filmmaker Elizabeth Pepin and photographer Lewis Watts, charts the emergence of the neighborhood's jazz scene and its demise during the "urban renewal" wave of the 1960s. For the Fillmore, the "renewal" meant bulldozers and wrecking balls. Lots were leveled to make way for high-rise apartment buildings. 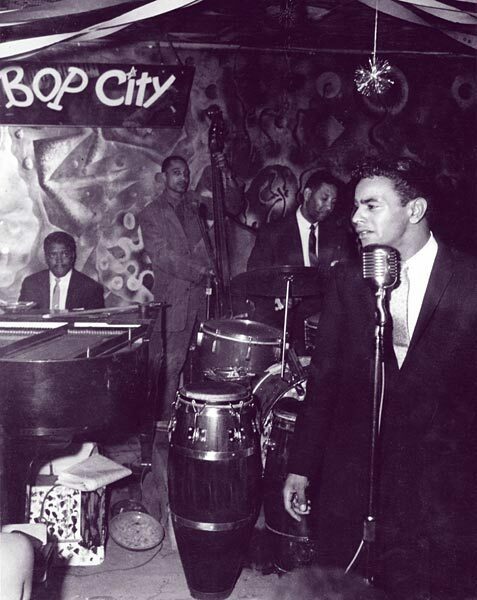 Businesses and venues such as Jimbo's Bop City -- a legendary jazz club where Ella Fitzgerald, John Coltrane, Lionel Hampton and Dexter Gordon once played -- disappeared almost overnight. Lewis Watts compares the Fillmore at its cultural height in the days after World War II to the Harlem Renaissance in Manhattan. The photographic record of those moments was almost lost, preserved by a lone barber in the neighborhood. "In his back room were... framed photographs, some of them just in supermarket bags -- amazing photographs, some of them torn, some of them water-stained, but just amazing photographs," he says.